Well known the world over as the birthplace of time, Greenwich is home to many historical sites that attract 18 million tourists every year. Now that the area is undergoing several massive redevelopments, it is sure to attract many new residents too. Greenwich is best known for sites such as the Royal Observatory and the Maritime Greenwich World Heritage Site, which by itself draws 10 million tourists every year and includes Greenwich Park. It has historic links with the Royal family and an old-world town centre with cobbled streets and quaint little pubs. It is also home to the O2 arena. 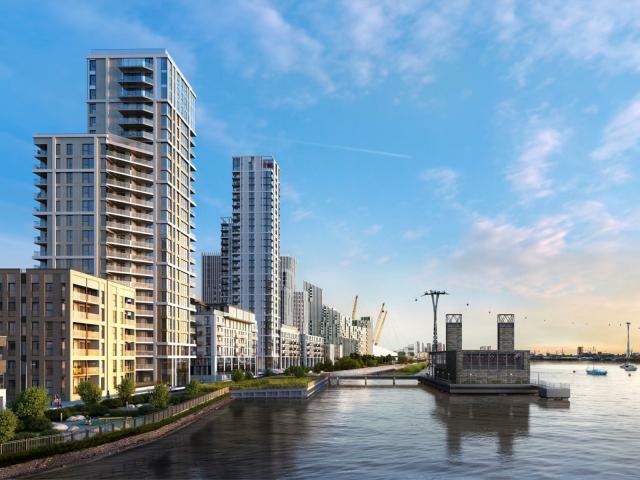 But there is another aspect of Greenwich that is largely overlooked: its proximity to Canary Wharf and the development opportunities this brings with it. Greenwich currently has the second lowest average house price in Inner London at £348,693. However, it has seen sharp growth recently with the sixth highest average house price growth rate last year in Inner London. The rental market shows a similar trend, with average rents increasing 10.8% last year, the second highest growth rate in Inner London, which takes average rents to £1,530pcm. These recent increases reflect the massive regeneration that is taking place in the area. One particularly notable scheme is Greenwich Peninsula. This scheme will potentially provide 15,000 homes and will completely revitalize the formerly vapid area surrounding the O2 Arena. Other regenerations transforming the landscape of Greenwich include Kidbrooke Village, part of a £1 billion scheme where town houses are selling for more than £1 million and Millennium Village. The residential regeneration has been facilitated by significant improvements in transport links over recent years. These include the DLR extension to Woolwich Arsenal and the Jubilee Line extension, which have greatly improve Greenwich’s accessibility to central London, with quick access to London Bridge (8 minutes), Waterloo Station (11 minutes), Green Park (15 minutes) and Bond Street (18 minutes). In addition, as of September 2015, there will be a 24 hour tube link to the borough on weekends. Aside from the DLR and Jubilee line, the Thames Clipper provides easy access to the West End.